Malaysia’s The Star had controversial front page today. Like in years past the tabloid-sized paper carried a photo of Malaysian Muslims in their first terawih prayers to start off the month of Ramadan. This year, however, it also carried a banner headline above the photo that read: Malaysian Terrorist Leader. 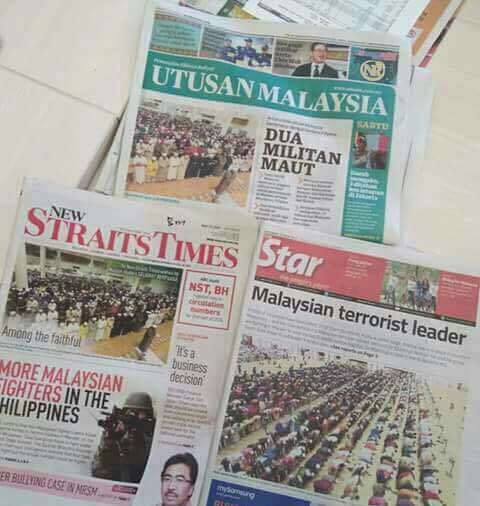 Some readers took offence, reading into this one of many repeated attempts by the Chinese-owned The Star (it’s owned by the Malaysian Chinese Association, one of the parties making up the ruling coalition) to cast insinuations on the Malays/Muslims. The apology, however, fell short for some of its readers who felt that it was an apology without really apologizing. 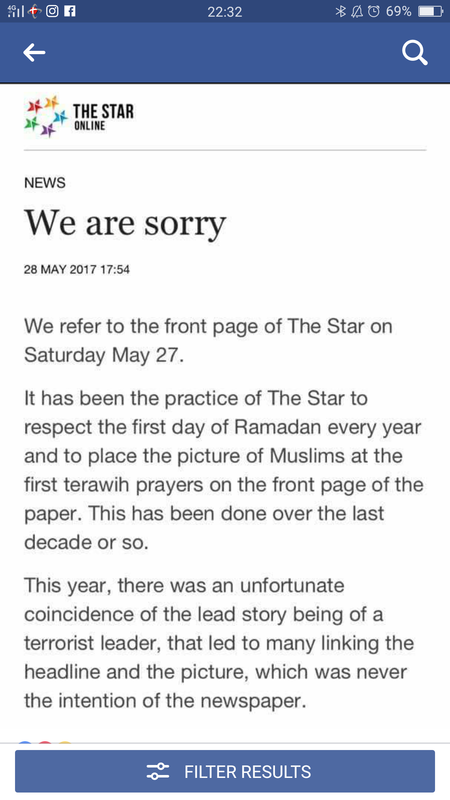 The Star insiders, however, feel that they have not done anything wrong, certainly not more wrong than the government-controlled papers that also ran the terrorist story on Page One together with the obligatory photo of the terawih prayers. So is this a case of racial/religious hypersensitivity, a paper going too far with it’s headlines or a half-hearted apology? And how will this issue play out over the next couple of days?